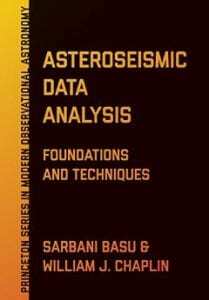 “Asteroseismic Data Analysis gives a comprehensive technical introduction to this discipline. 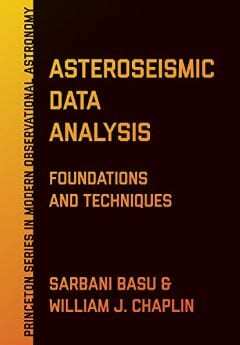 This book not only helps students and researchers learn about asteroseismology. The year 1962 marked the beginning of the field of helioseismology, the study of the Sun using solar oscillation frequencies. The routine study of other stars using data on their oscillations had to wait for decades. The CoRoT and Kepler missions have provided asteroseismic observations of thousand of stars, and TESS mission will provide many more observations. This has led to the need to find robust ways of analyzing and interpreting the data. While there are many good textbooks that cover the physics of stellar oscillations, as well as the other types of stellar oscillators, there is nothing that describes the different techniques that are used to analyze the data. This book is meant to fill that gap, specifically for cool main-sequence, sub-giant and red-giant stars that show solar-like oscillations. In some respects this book can be thought of as an instruction manual for readers to learn about asteroseismology and, if they so desire, to start working in this discipline.” (from the preface).